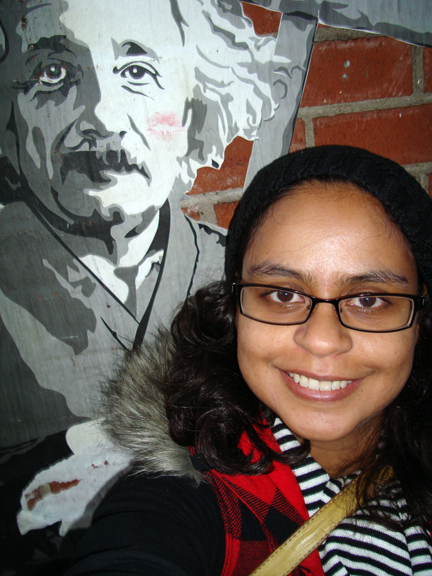 Greetings and salutations! 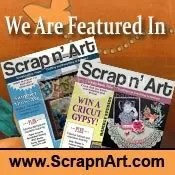 Scraps, here, with a fantastic technique two-fer from Alchemist Jo! 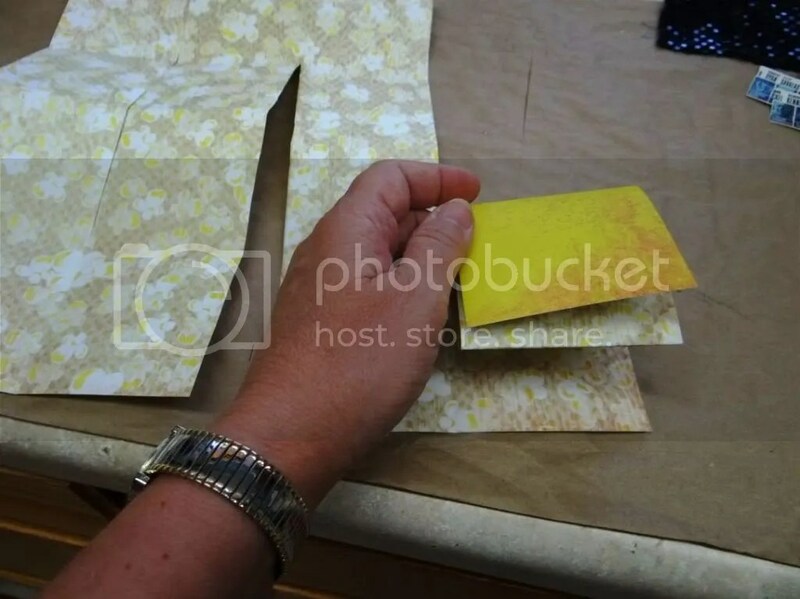 Jo: One of my favorite backgrounds is a blended paper background. 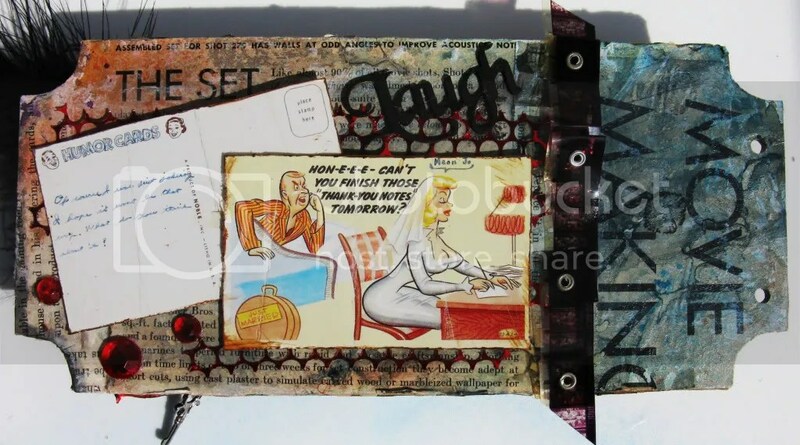 I learned the basic technique from Mary Green when I took her online classes–“Your Vintage Gluebook” and “Collage Coterie”–and have further developed it to suit my style. I’ve prepared two 4″x6″ postcards to show two variations on the theme. Firstly, I covered both postcards with pieces of book pages, torn and randomly stuck to the postcards with a gluestick. 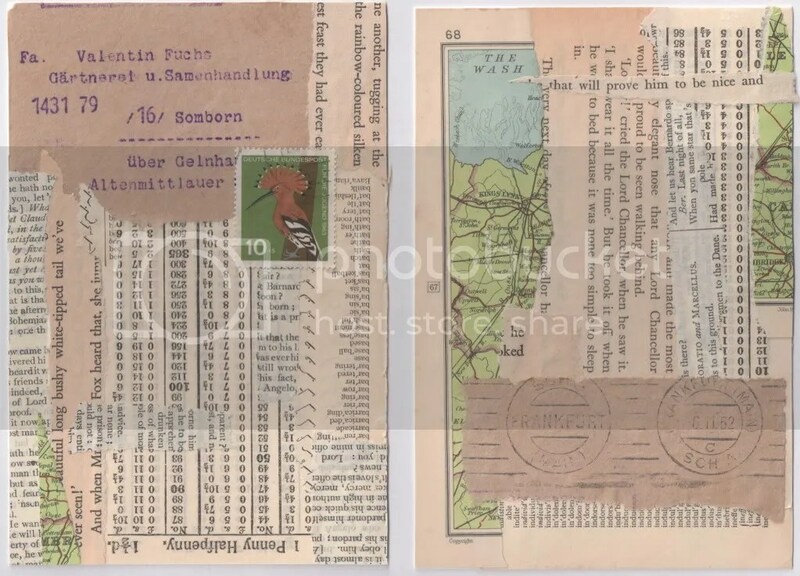 Map pages are good, and handwritten letters, receipts, and postage stamps add interest, too. Gauche Alchemy has fab packs of foreign text paper which would be perfect for a project like this! Over the basic blended paper background I added a coating of white gesso. 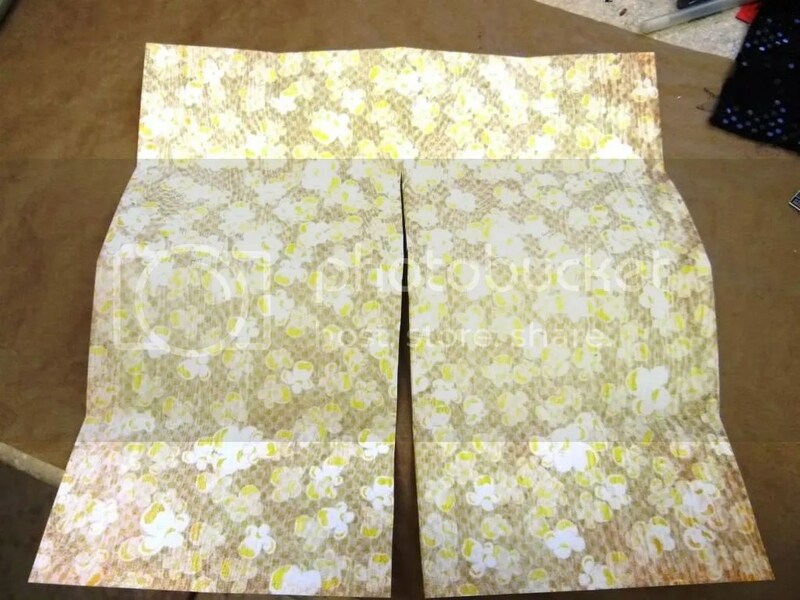 This can be thinner in some places than others and it’s great to allow some of the background paper to show through. Remove any excess gesso with a paper towel. 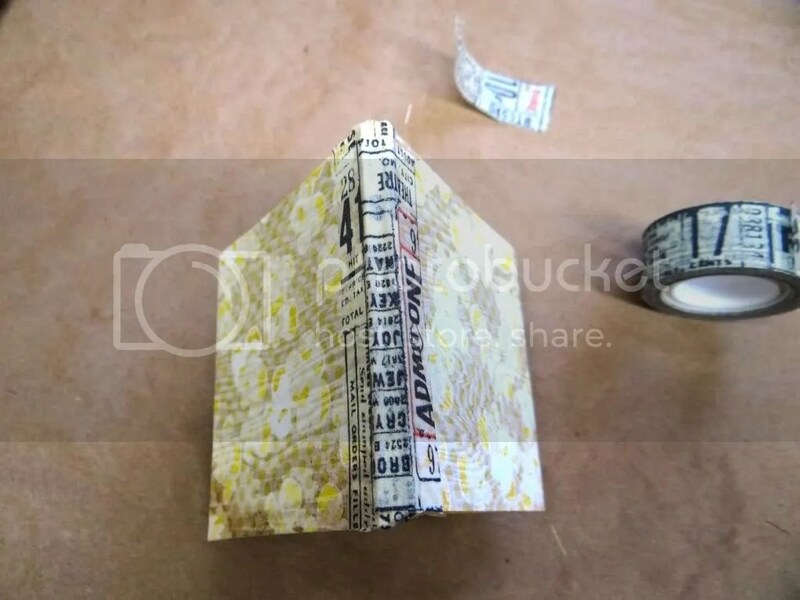 While the gesso is still wet, stick on some pieces of masking tape, making sure it’s well adhered by smoothing down with a bone folder or similar tool. Mmmm, this looks so scrummy, I love it! I then roughly smeared Distress Inks round the edges (Dusty Concord and Peeled Paint). Where the gesso has been removed by the masking tape, the Distress Ink will be a much stronger colour. Using your normal everyday inkjet printer print out your chosen image. 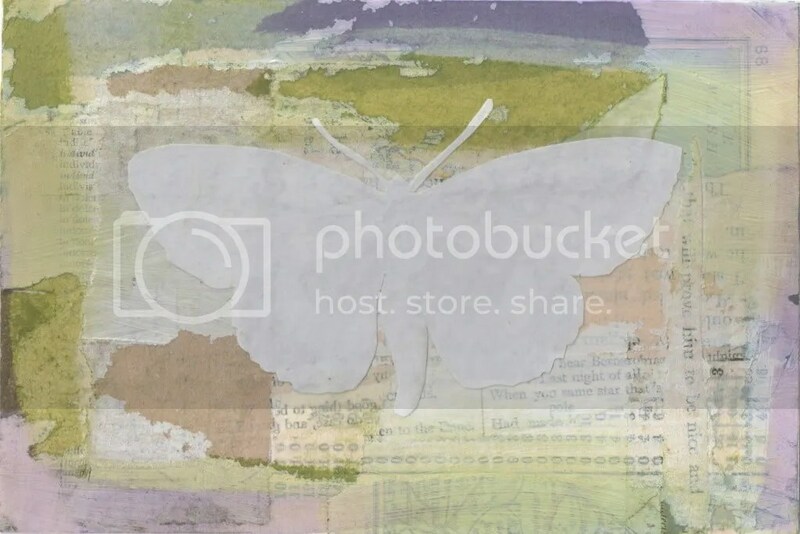 I often use The Graphics Fairy, who has a wonderful selection of images which are free to use. 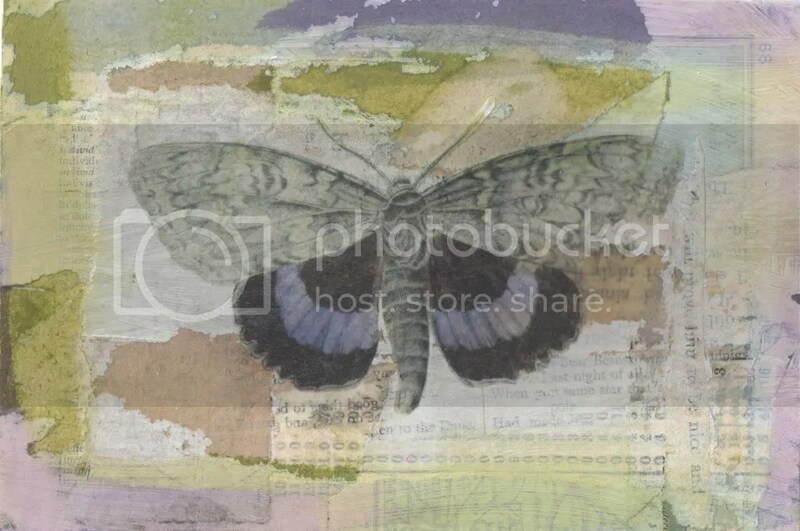 For this postcard I chose a wonderful moth image. Remember to flip the image because when it is transferred it will be a mirror image. Especially remember this if there is writing or numbers on the image that you want to be the right way round. Allow the ink on the copy to totally dry, not overnight this time but I would allow about half an hour. 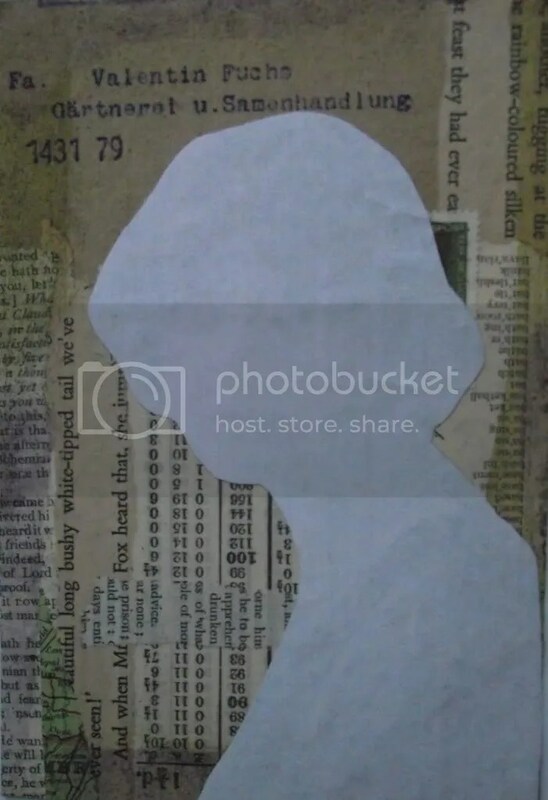 Cut out the image and, using a paint brush, coat the IMAGE SIDE of the paper with matte Mod Podge (or similar). Stick this face down onto your background, making sure there are no air bubbles and, if possible, brayer firmly to totally stick it. Try and avoid getting the Mod Podge on the back of the paper as this will make it harder to remove later (actually, virtually impossible!). IMPORTANT: ALLOW THIS TO DRY OVERNIGHT! Now comes the magic bit! Wet the back of the image with clean water (I use a wet paintbrush). With your finger, gently rub in a circular action. 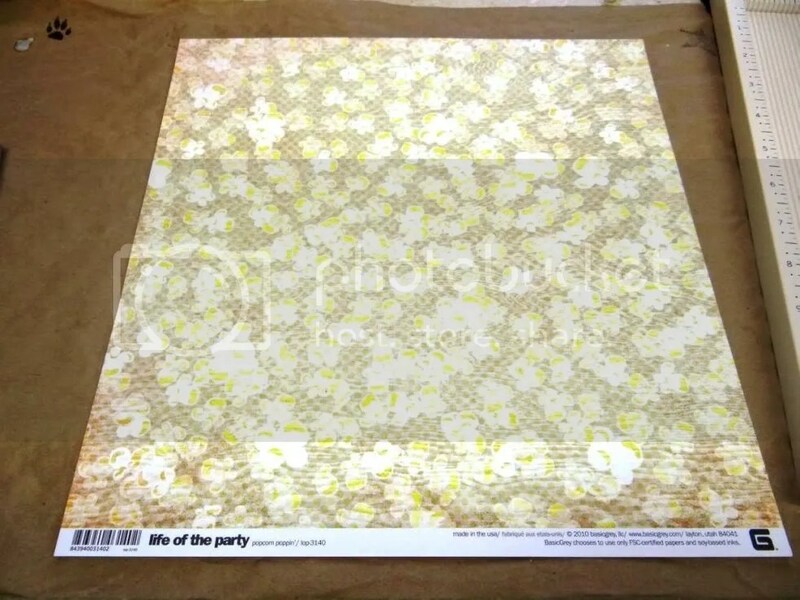 The image’s paper backing will start to lift in small rolls of paper. It’s quite messy, but keep with it, adding more water if it starts to feel a bit dry. 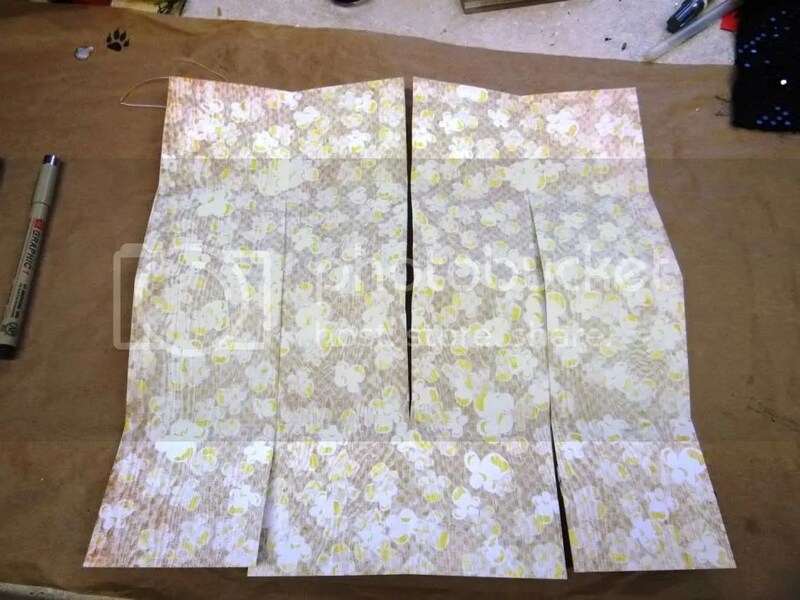 Even though you are being careful, some of the image may lift with the backing paper. That’s OK! If you wanted a perfect image you’d have simply stuck down the picture, right? Leave it a few minutes; if there is a white fuzz on your image, then just wet the image again and rub gently, more backing will be removed. 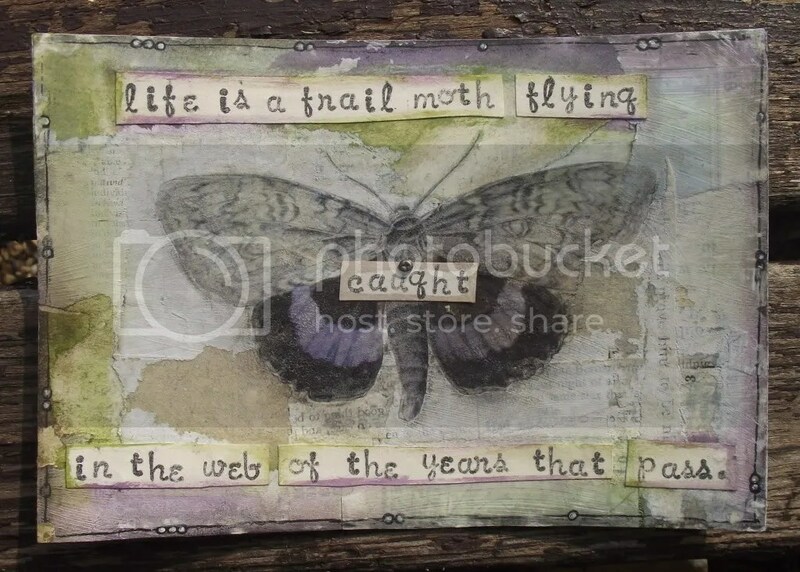 I used a quote by Sara Teasdale, rubber stamped onto old book paper and edged with Distress Inks. 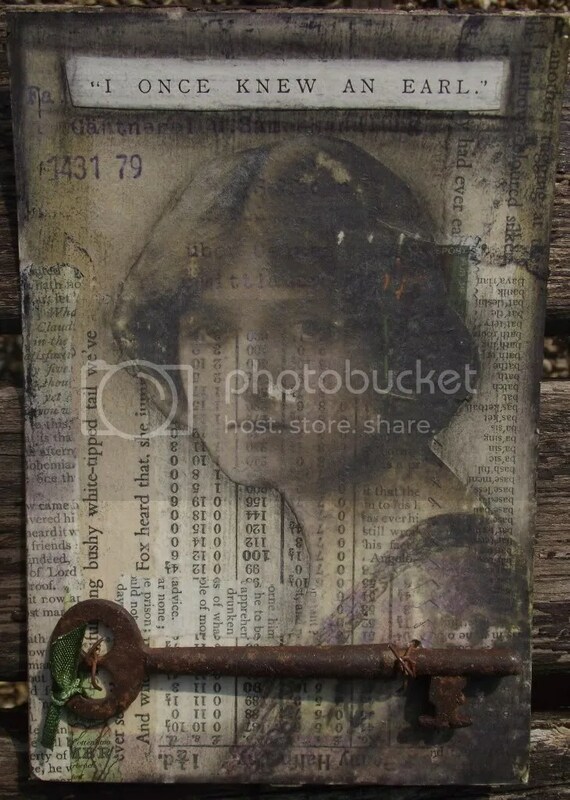 Taking the basic blended paper background, I brushed on a coat of clear gesso to seal the background and to provide a decent ‘key’ for the image to adhere to. The background will, this way, show through clearly. I dragged Distress Inks round the edges (Dusty Concord and Peeled Paint). Once dry I cut out my chosen printer copied image (again from The Graphics Fairy), brushed a coat of matte Mod Podge onto the image and put the image face down onto the blended paper background. Ensure good adhesion by firmly brayering it. LEAVE IT TO DRY OVERNIGHT. Wet the image with clean water and gently rub the image backing. 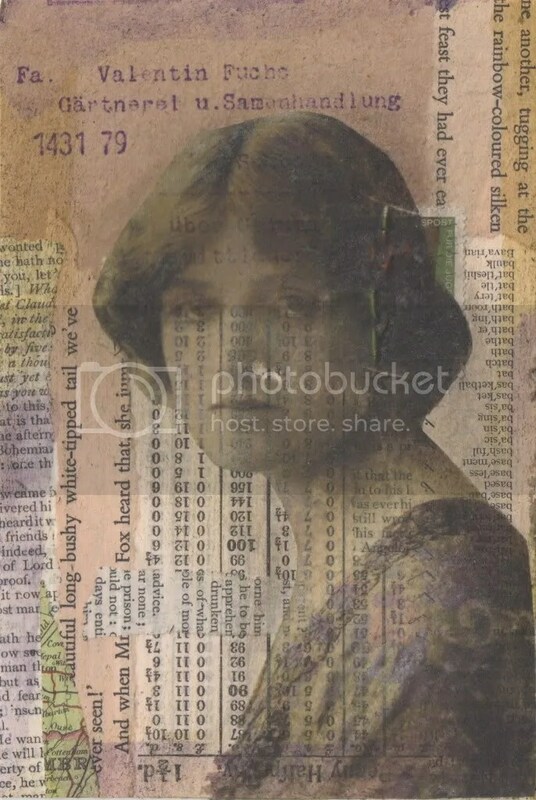 The background is clearly seen through the image, giving rather a dreamy,vintage and/or ghostly effect. I drew with a charcoal pencil round the image, smudging it with my finger – this adds some depth (another tip learnt from Mary Green‘s classes). I also used the charcoal pencil around the edge of the postcard and around the title, taken from an old book. I used rusty wire to attach the old rusty key to the card. I usually go for the instant gratification projects, myself, but this techniques shows that the old saying is true: good things come to those who wait! I started with an 11×14 canvas and Mod Podged a sheet of scrapbook paper to it. BTW, I’ve always used gloss Mod Podge in the past but decided to give matte a whirl and holy crap, it is AWESOME and I’m not using gloss like, ever again. Once you go matte, you never go back! Anyhoo, after that was done I added some Dylusions Ink Sprays (these are so fantastic) in various colors and decided to play around with multiple styles of our Washi Tape. I really wanted to use this glittery ornament I got on clearance after Christmas so he made a home in the bottom corner there. Next I decided to use some modeling paste with a circle stencil and didn’t feel like that showed up enough so I added some Pearlex powders to it. 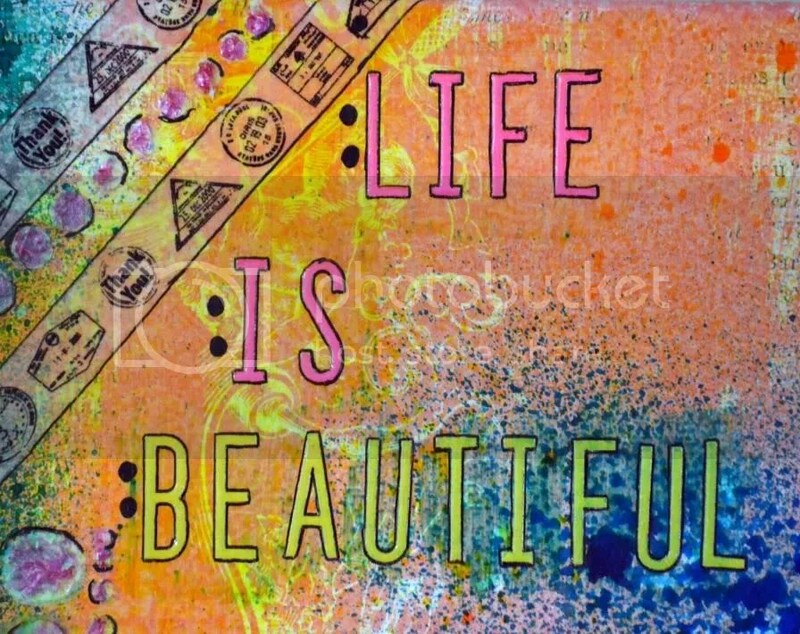 Once I added the title, “Life is Beautiful”, I felt that it and the washi tape was sort of fading into the background so I outlined all of it with a black pen. Done and done! Now go glue something awesome onto some awesome something! 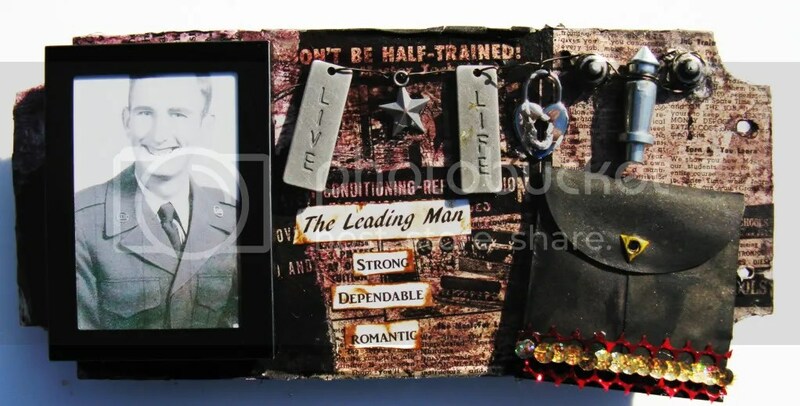 Good morning, Marilyn here with another terrific layout from Alchemist Michelle. 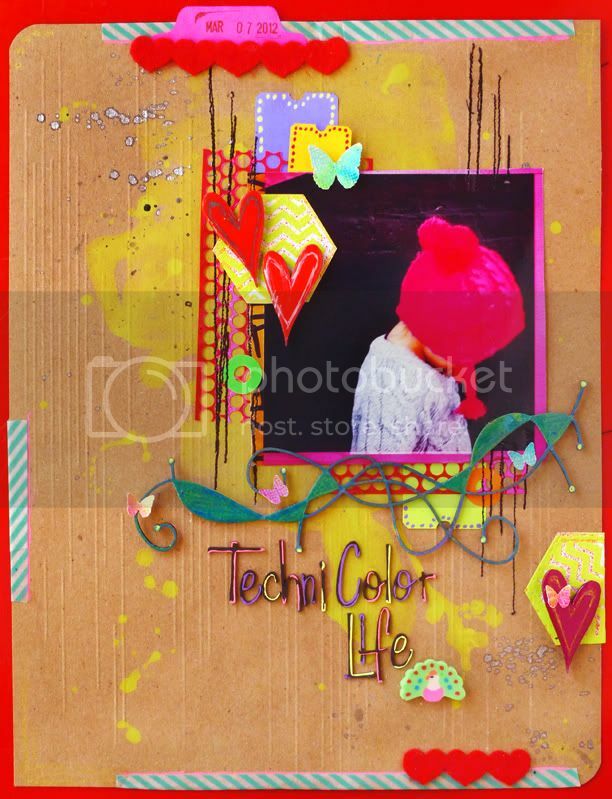 She’s used bright, happy, neon colors to make her layout really pop. Here she is to explain how she did it. Michelle, take it away………..
Two years ago I saw this advert for an Alexander McQueen collection showing a close-up profile of a Mohawked model looking down. I didn’t realize how deeply ingrained that image was till I shot this photo and realized I’ve been DYING to recreate that photo for 2 years. The recent advert for the American version of “Girl With A Dragon Tattoo” is a direct “lift” of that campaign as well. I’m loving teal stripes, black thread and hexagons right now so they all got incorporated into my final page (the red border is a shellacked table in my apartment). I used punchinella, die cuts and that AWESOME peacock eraser (which I cut in half to use twice!) 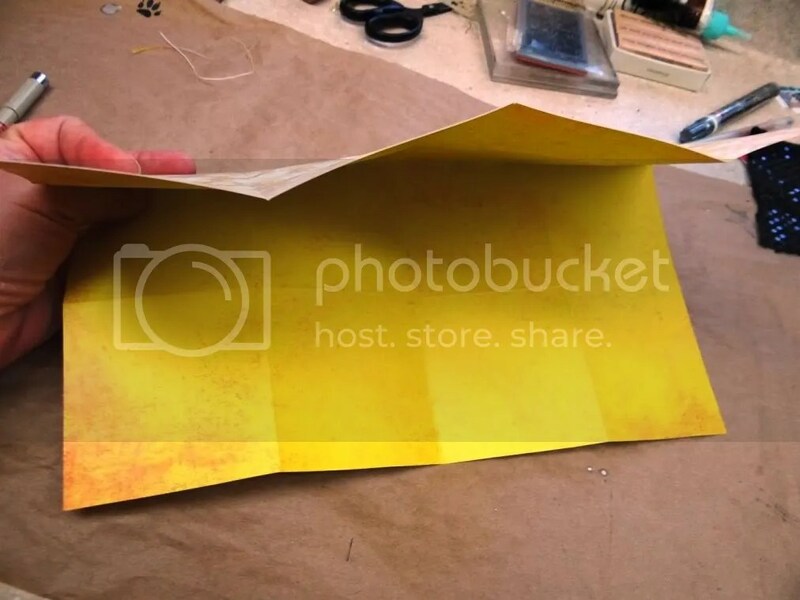 from the Neon Color Kit, kraft paper from The Paper Company, Fancy Pants tape, Scrap FX chipboard, and the nail polish is a local store brand. 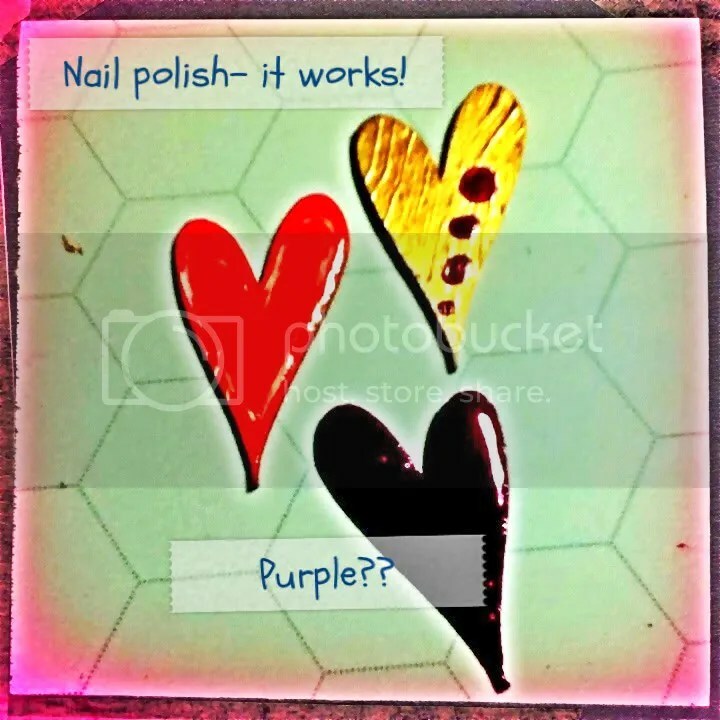 I have neon purple and pink nail polish I will never use on myself since it chips literally minutes later, but it works beautifully on chipboard! WOOO HOOO! The Hipstamatic Ben Watts lens adds high contrast to photos so my purple heart went black – there’s poetry there somewhere I’m sure. 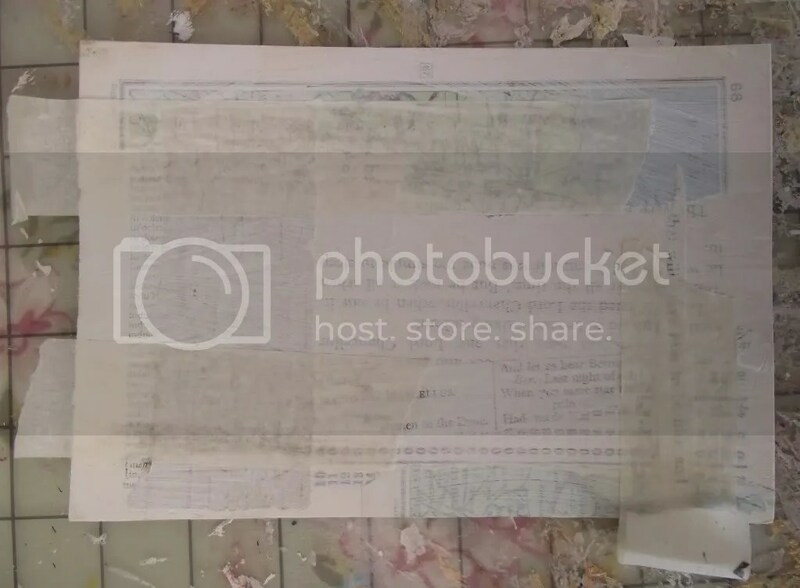 I also used the totally AWESOMESAUCE Lablebox app to add writing to my photo. I LOVE this detail shot. I know it’s random but I really like the abstract look of it. 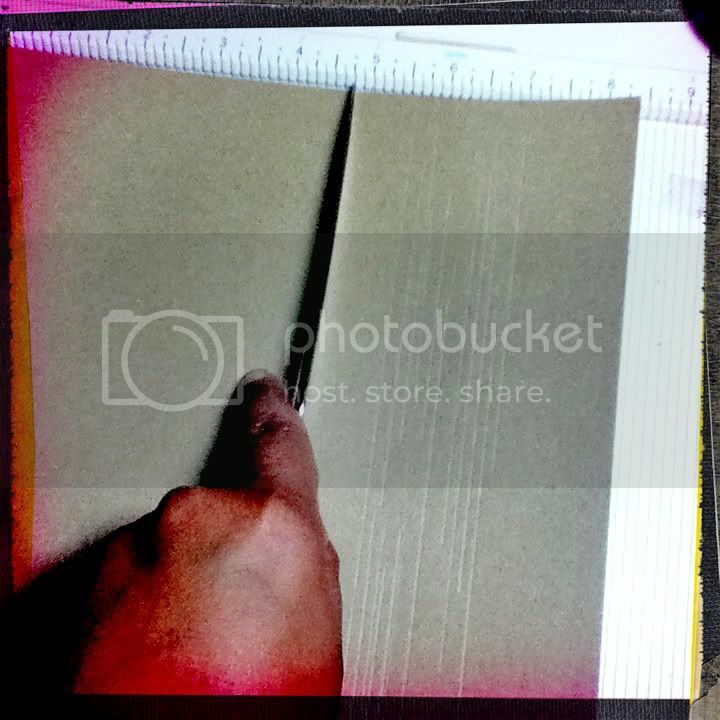 Here you can really see the embossed lines I made using my score board. Again, this was a technique I found on Twitter from Melissa Mann who designs for Green Frog Studios (amongst other brands). 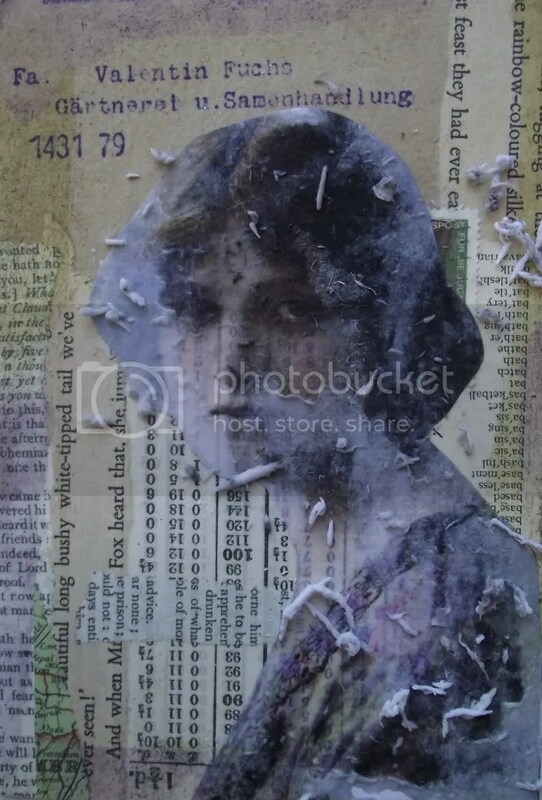 Lately, I’ve been experimenting with acrylic paint; but when I first started scrapbooking, I used pre-printed paper and embellishments because I felt couldn’t paint or draw, so it’s a little Alanis-type ironic. Here I watered down some 79 cent acrylic paint in “Citron” and literally spilled it on the kraft paper. I used a heat gun to dry the paper before it got too warped. 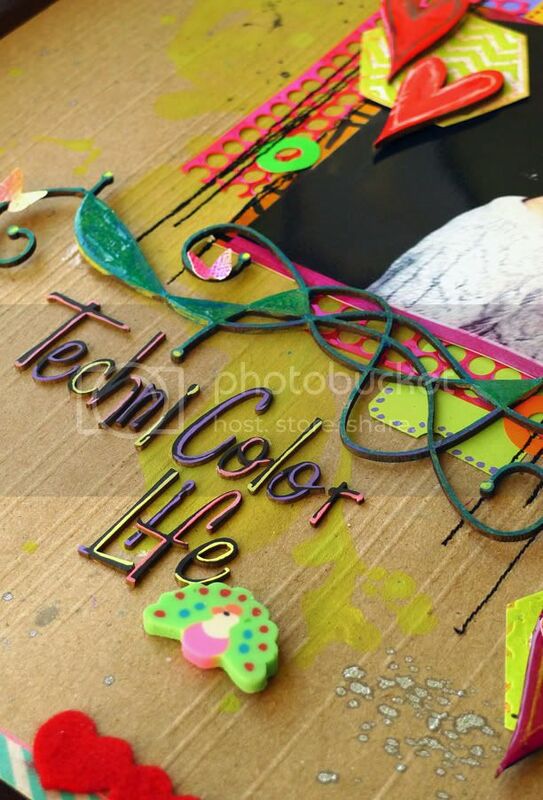 I used neon gel pens to color in the chipboard letters. 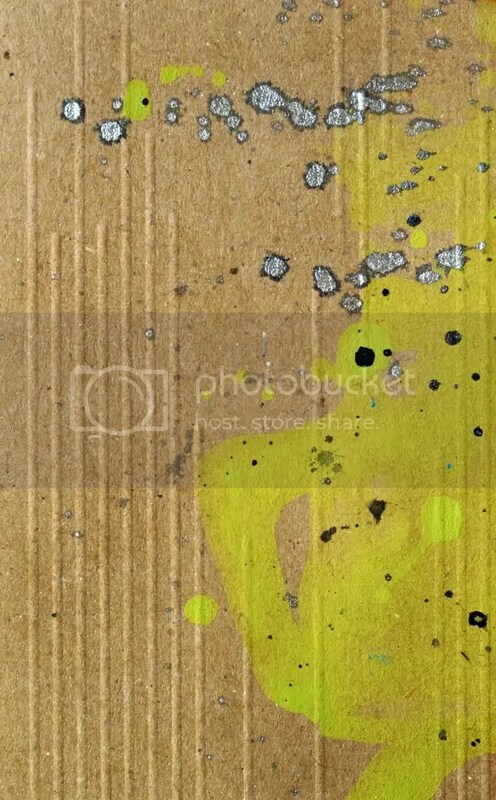 I also used neon pastel crayons on the chipboard swirl and scratched a sort of border on them – another technique I found using social media networking. Hi everyone! 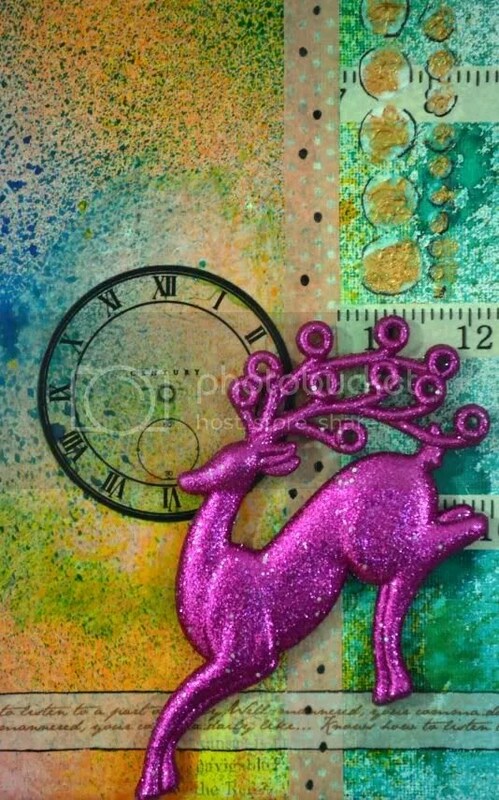 Maggi here to share another project from this month’s guest designer, Lenna Young Andrews! 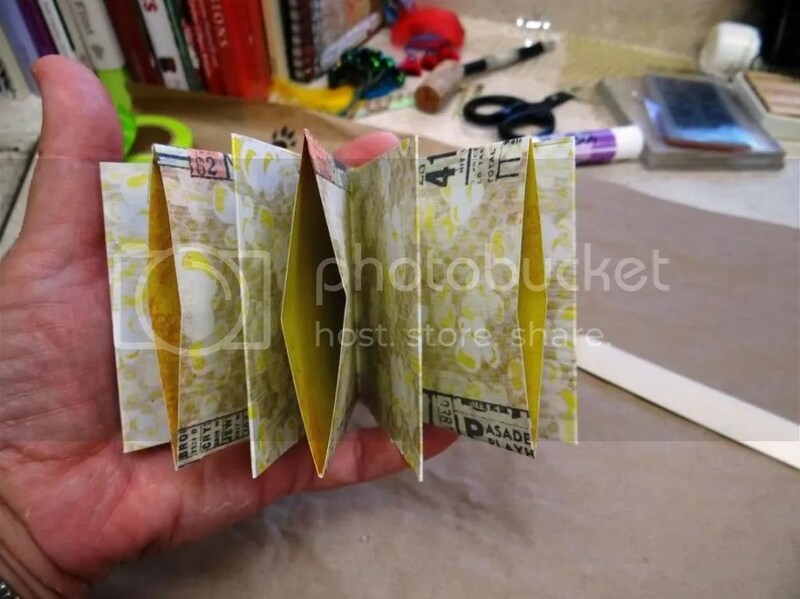 She created this awesome book using our Showstoppers Kit and the best part is she gave us a step by step so you can create your own! 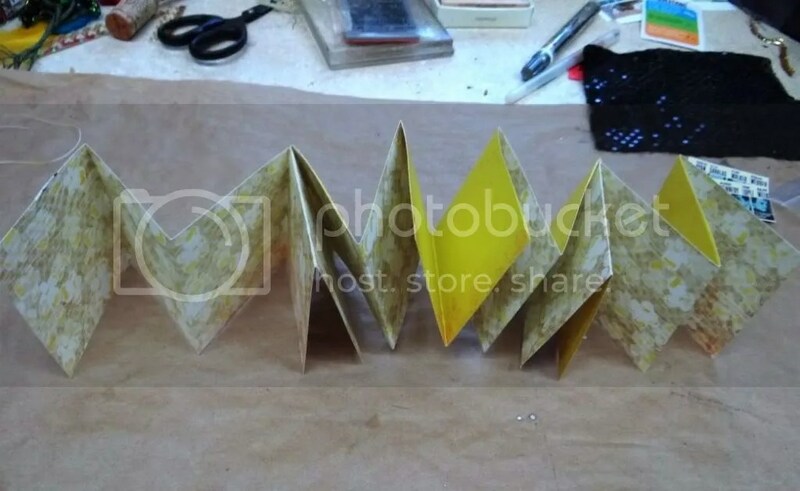 Here’s a Gauche instant book! From the kit I also enjoyed using the “Admit One” tickets, “Questions” Trivia Card, Groucho Marx patch, the yellow feather (in a pocket!) . . . and I cut a heart out of the sequin fabric that was in the kit to embellish the pages. 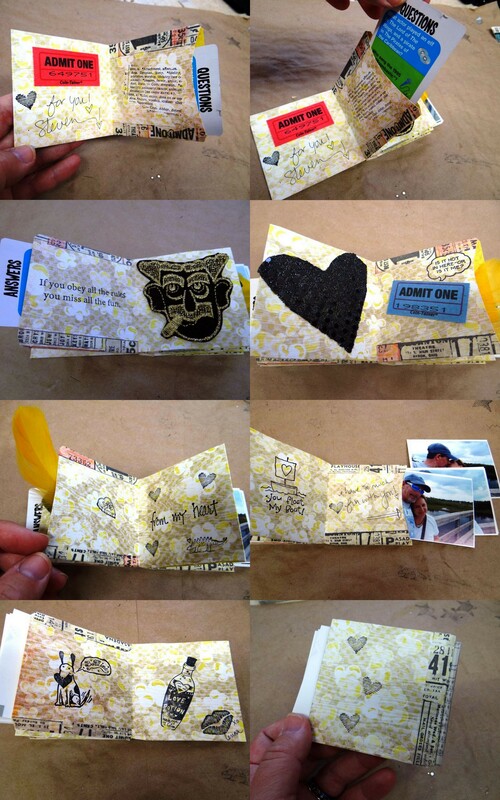 I used various rubber stamps to decorate the pages and tucked some of my own photos of my husband & I on a date into one of the pockets. I hand wrote a few notes and slyly gave this to my husband before sharing it here with you! That is too cool Lenna!!! Hi there! 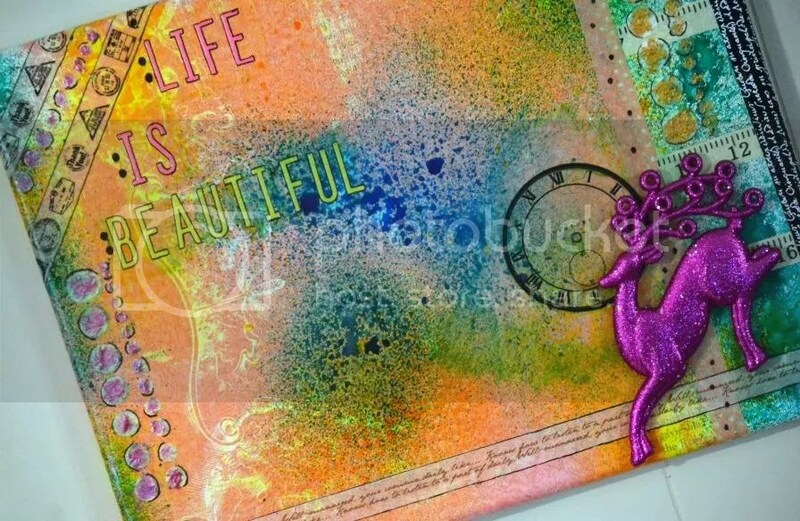 Scraps, here, with a fabulous project using the new Showstoppers Kit courtesy of Alchemist Misty! That is one stuffed-with-awesome mini-album, right there! Let’s take a closer look, shall we? 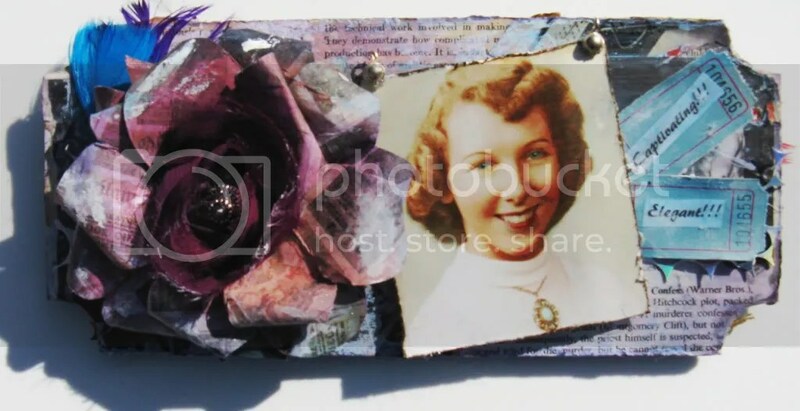 Using the included project sheet from the Showstoppers Kit, Misty created a touching testament to her grandparents with the cover inspiration coming from Grandma, herself! Misty: the Marquee [comment] totally sparked my interest! So I decided to stick with the “show stoppers” theme and make the cover a marquee introducing my grandma and grandpa and their love story. I used my Big Bite [to create the holes] and just kept biting away until my holes were big enough to fit the lightbulb. Then I painted it in with glossy black paint ( I cheated and used spray paint) and once the paint was dry, I added my bulbs. 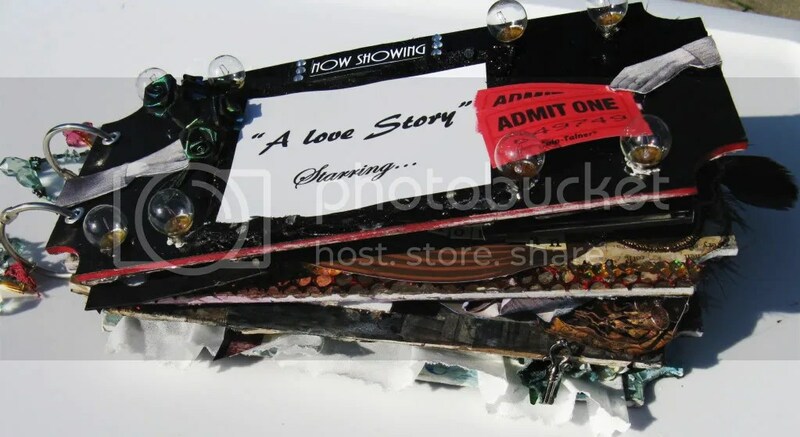 I printed the now showing from my printer and matted it to a rectangular piece of chipboard then I dressed it up a bit by adding rhinestones to the sides. 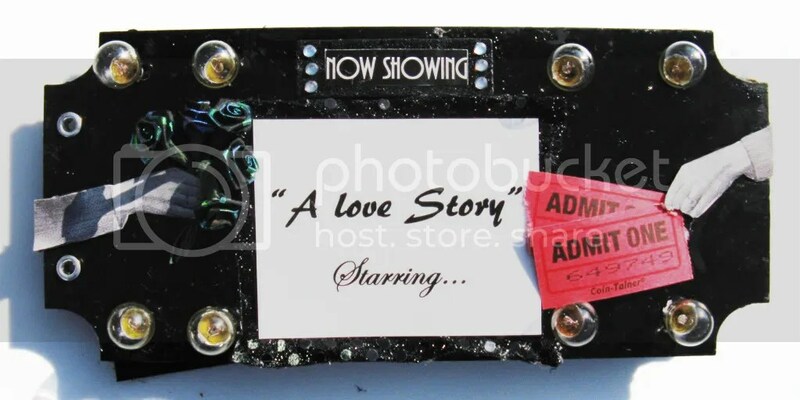 I also printed out my movie title from my computer and matted it onto a piece of sequined material that was in the kit to add more sparkle. One of the magazine pages in the kit was an image of a nurse feeding a wounded soldier, so I cut out her arm and hand, scanned it into my computer so that I could flip the image, allowing me to have a right and left hand. To the left hand I added flowers that came in the kit, and to the right hand I added tickets that also came in the kit. The first page introduces our “Leading Man.” Now how brilliant is this? Though she covered some of the “bulb butts” with her framed picture, she used the others to anchor the charm garland topping the page. And, oh, I’m a sucker for a man in uniform–especially a vintage uniform! Sometimes you get an embellishment and you just don’t know what to do with it. Misty ran into this with the Groucho Marx patch from the Showstoppers Kit. I eventually decided to use smokie as a perfect image for a play on words by adding smoke to the cig and stating that my grandpa was “smokin hot”(…ok, its a little creepy when I’m explaining it that way). A man in uniform is always smokin’ hot. End of story. Our leading lady gets her time in the spotlight with a gorgeous patterned paper and fabric rose embellished with a button from the kit–see it sparkle in the very center! This page also used silver punchinella, feathers, ticket stubs and–another genius move–little jewelry bells as picture corners. Misty: I misted the background in a purple and turquoise then randomly went over it with distress ink. I cut out an arrow pointing to the previous page, then outlined the arrow with gold beads from the kit. I also cut out the “nerves of steel” from the g45 paper in the kit, and matted it with some aluminum tape (embossed with my Sizzix). I also cut a star out of the aluminum tape and embossed it. To the right, lower corner I used the black feather from the kit and placed it under the flower. The eyelet and gem in the center of the flower were both part of the kit as well. 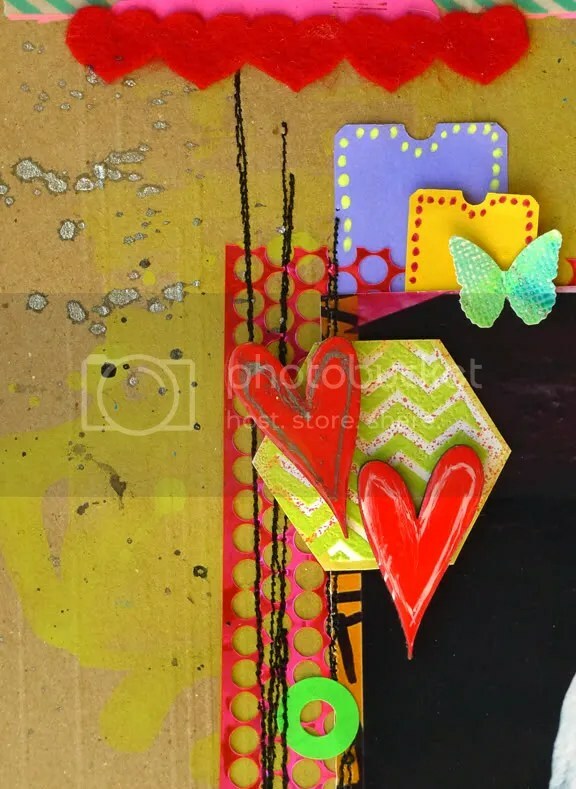 I added the butterfly from the lady marmalade orange mixed media kit. Then I added a key charm hanging from under the flower. Among the pleated filmstrip border, punchinella-overlaid background and gems, there’s a darling story that goes with that charming postcard. I thought it was so cute (and a little uncomfortable). Just kidding, I loved seeing this side of him. After seeing their long relationship where they knew each other so well, I liked being able to see this sort of awkward side to him, when he was still getting to know grandma. Every love story should have a happily ever after. 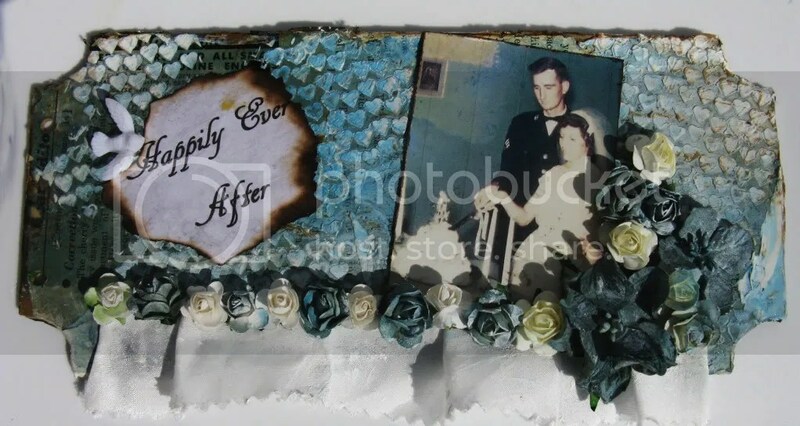 Our couple gets their send-off decorated with a mist-over-modelling paste background (stenciled through heart punchinella), flower-and-fabric flounce and a sweet, to-the-point title whose torched edges give it an instant aging. The dove punctuates the hope of the moment while also balancing an over-torched edge. 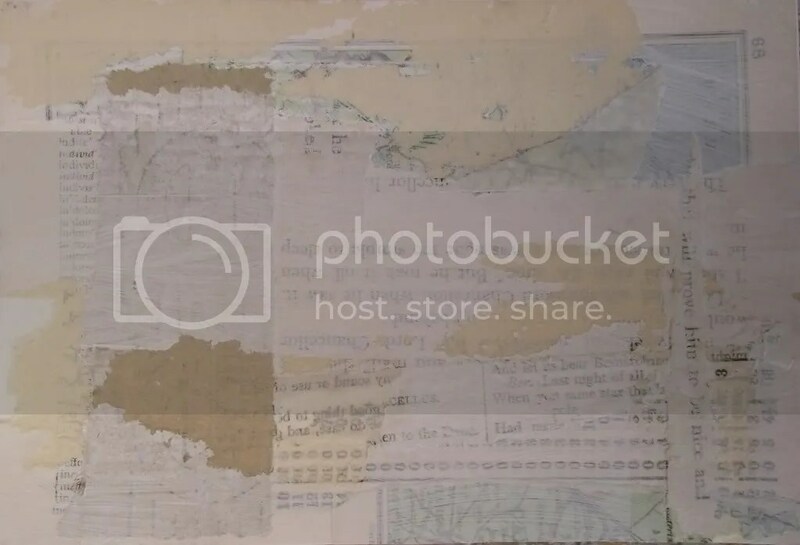 Does that just make you want to dig up some old photos? Good morning! Marilyn here saying Hello from sunny, warm South Louisiana. 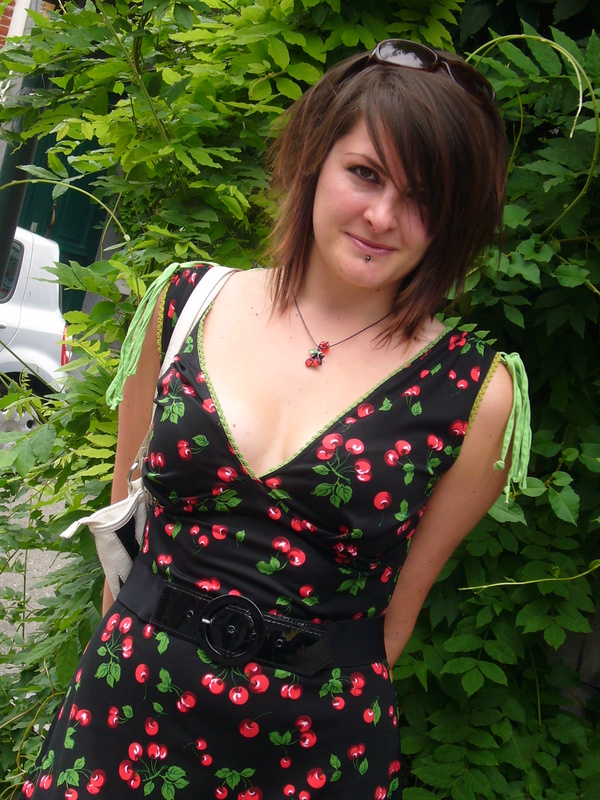 Today I have an amazing project to share with you from Alchemist Jo, one of our magnificent designers. So, without further ado, here she is. 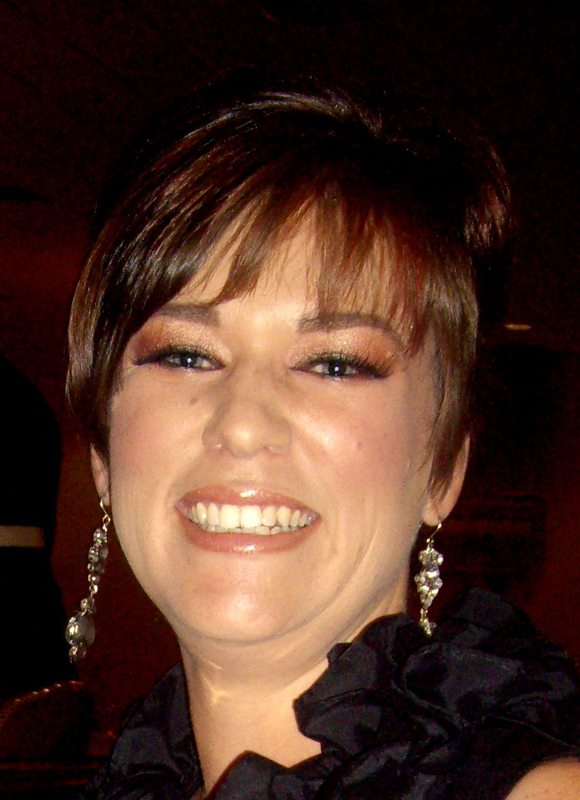 Jo, take it away……..
Inspiration strikes at the strangest times, don’t you find? Not necessarily when I need it to and usually when I haven’t got a pen or scrap of paper to note it down. By the time I get home the idea has often gone only to be replaced by a totally useless fact about the number of polar bears left in the world or what type of milk can be put in the freezer 😮 My brain has only so much room and as one thought goes in another gets shoved out! 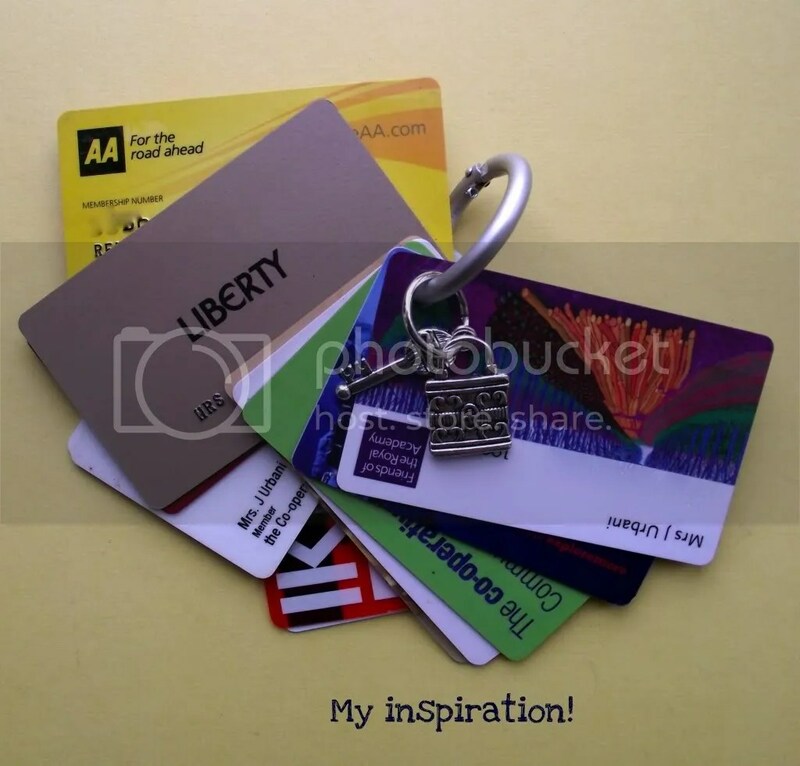 Anyway, inspiration struck for me when I was paying for my groceries and handed over my loyalty card (loyalty card? Who am I kidding? 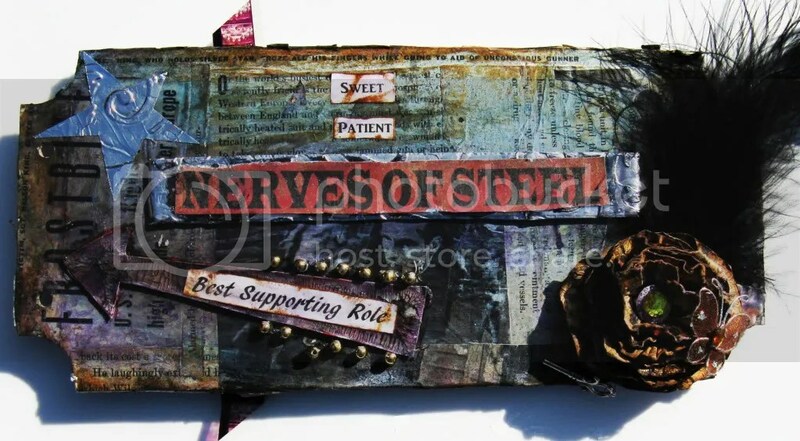 I’m loyal to no one hence I’ve got a stack of the darned things stuffed in my handbag). I keep my loyalty cards on a ring (sent to me by the lovely Suzanne from Privet and Holly). Keeping the ring in my hand until I got home ensured the idea stayed in my head! 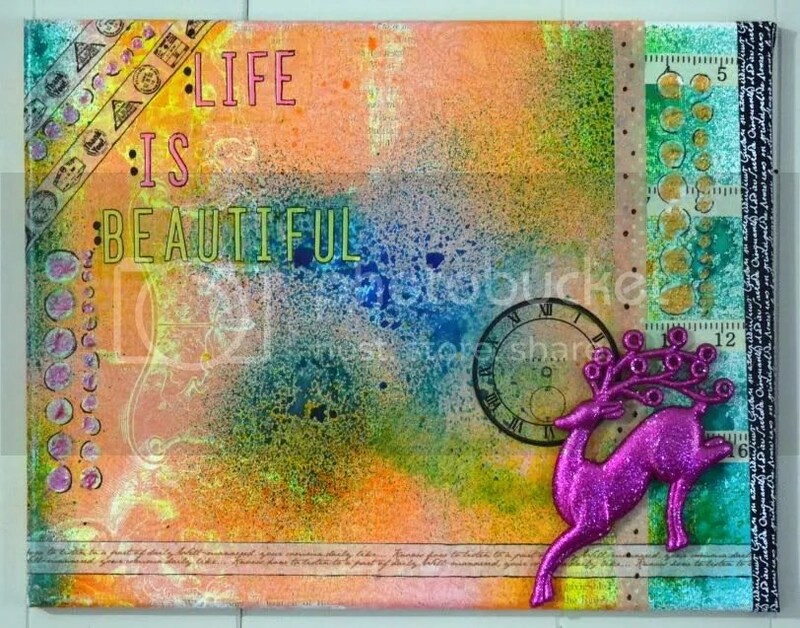 I knew I wanted to have some fun with paint, sprays, punchinella, rubber stamps and collage (who doesn’t, eh?!) and decided to create a few different backgrounds on credit card sized cards. 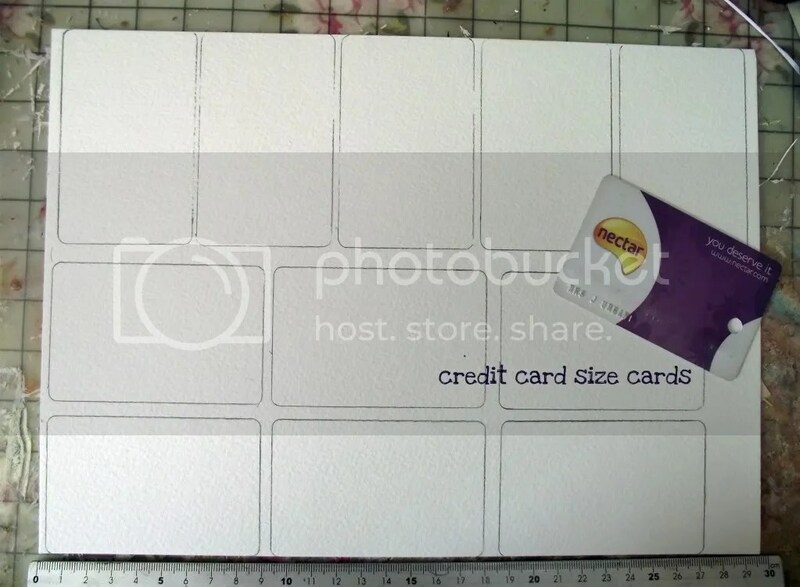 I drew round a loyalty card onto watercolour paper (140lb) because the paper is strong and less prone to buckling. Once I’d cut them out I smooshed, sprayed, stuck, stamped and painted! 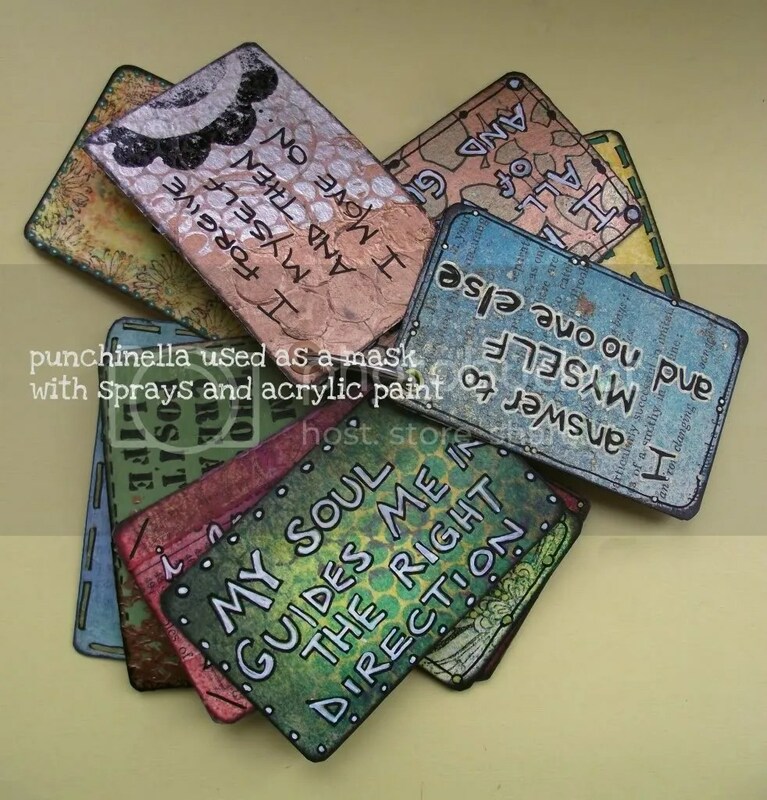 I used loads of different punchinella patterns to create great effects with acrylic paint and sprays. 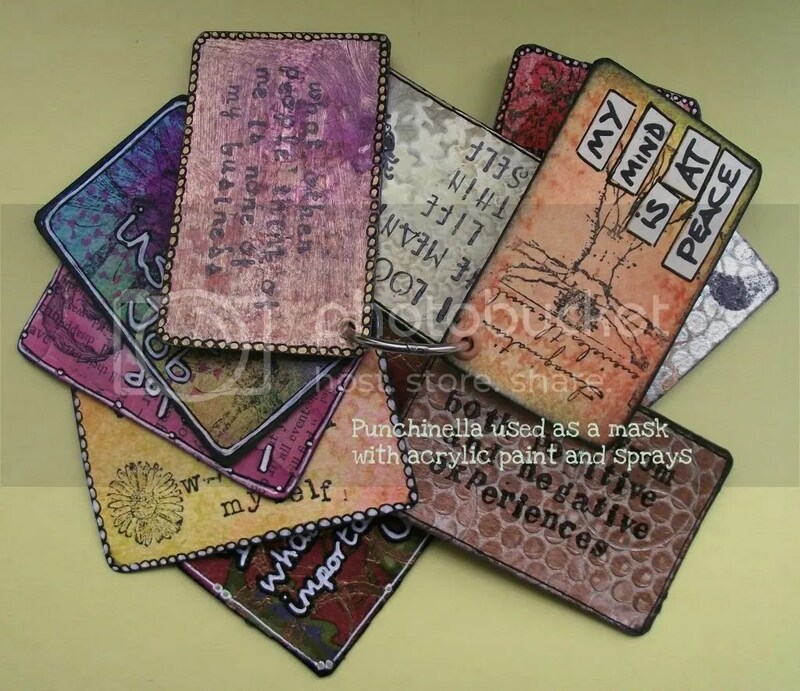 Gauche Alchemy offer a great punchinella variety pack to play with. It’s such FUN! 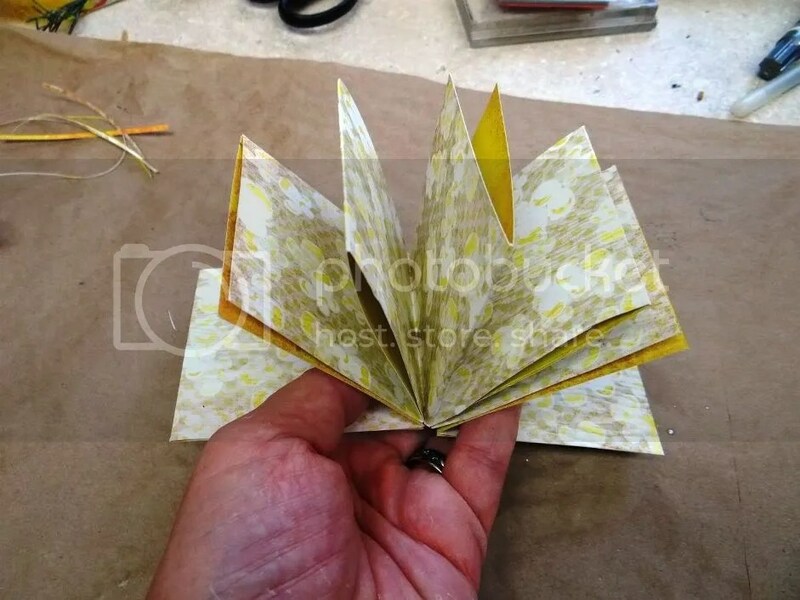 Paper napkin is an easy and effective background, and can be further painted, rubber stamped etc. 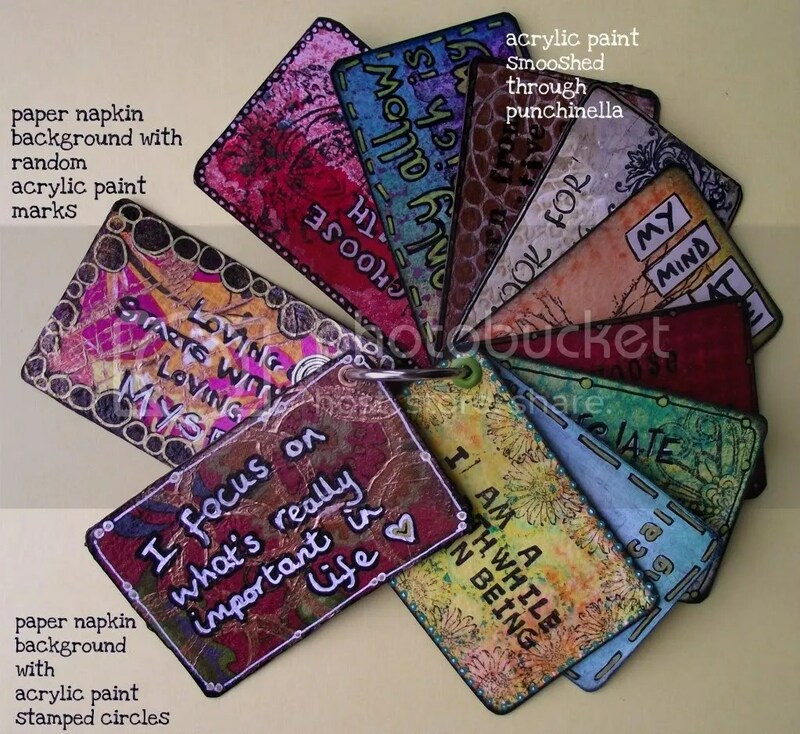 The Paper Napkin Art Kit offers a brilliant variety of colours and styles. Once I’d finished the backgrounds I added affirmations for me to focus on – some I rubber stamped, others I wrote by hand. Affirmations allow you to consciously harness the power of positive thinking and direct it to whatever part of your life, body or spirit that needs attention. I have yet to find one about blue hands. 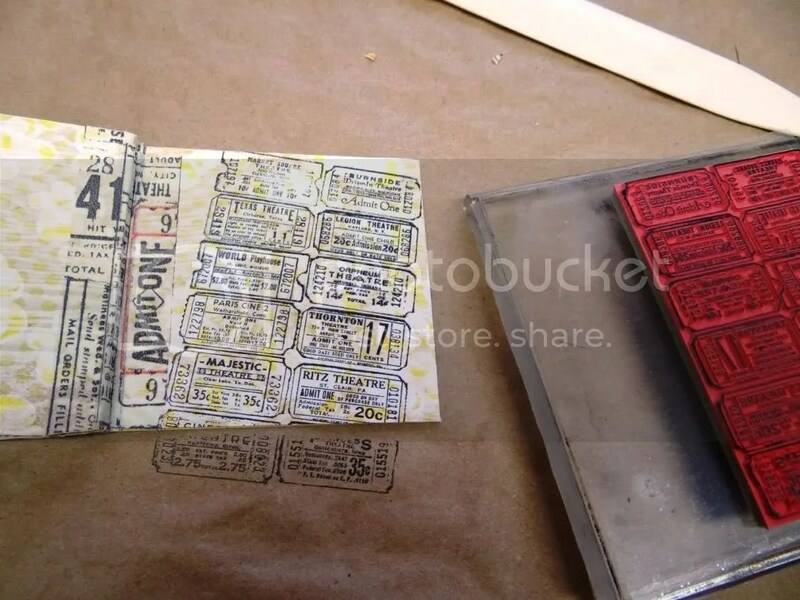 A couple of coats of Mod Podge or similar will seal and protect the cards. I used both sides of the cards, so having made 11 cards I ended up with 22 different backgrounds and 22 different affirmations. I added eyelets and put them on a large book ring, along with a little charm. You could add ribbons and more charms. The beauty of this little project is that I can go back and add more cards as I learn new techniques so it’s a techniques sample ring too. I had a blast putting this together but I’d better try and get that blue ink off my hands now……..! Awesome Jo! 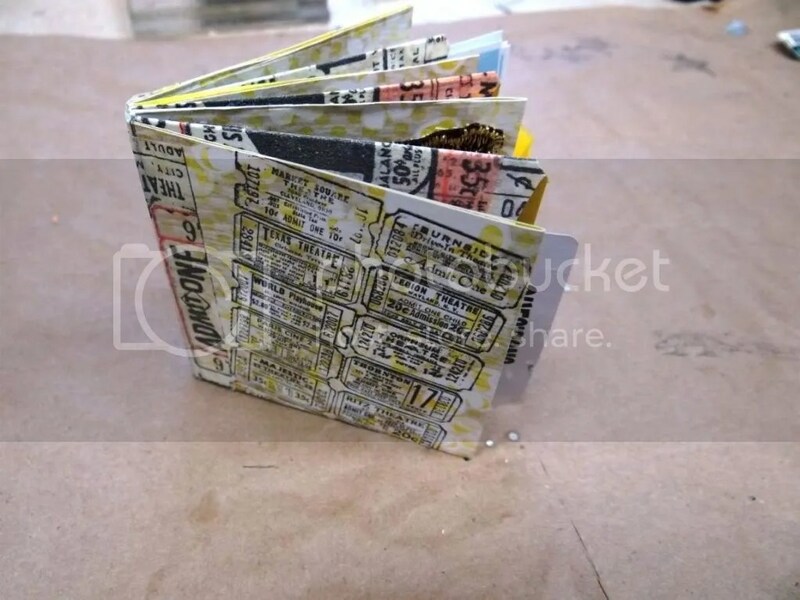 Now we know what to do with those pocket-full of cards we all carry around. What a wonderful way to make something so useful and life-affirming. 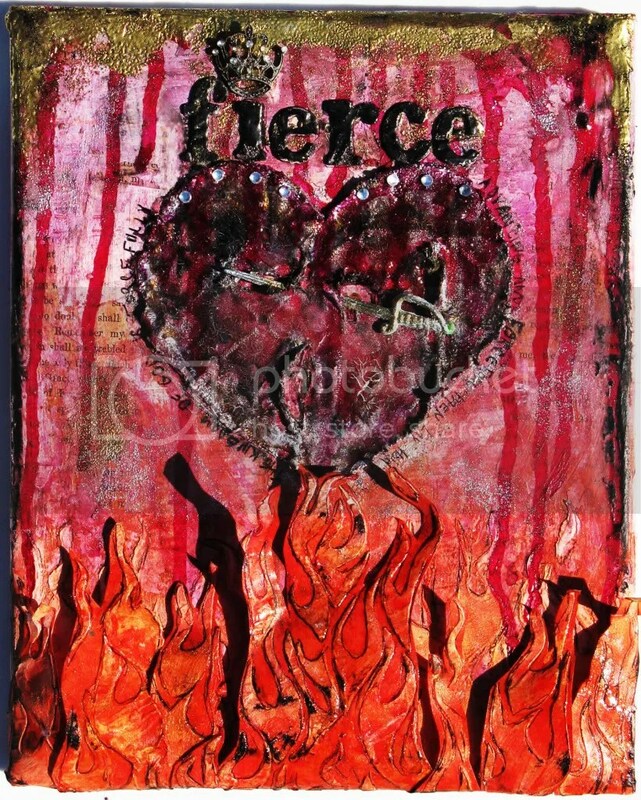 Misty: I really just wanted to play with my new fire template from the crafters workshop because back when I first started scrapping I couldn’t find anything with flames in stamp or stencil, so I was very excited when they came out with this template. 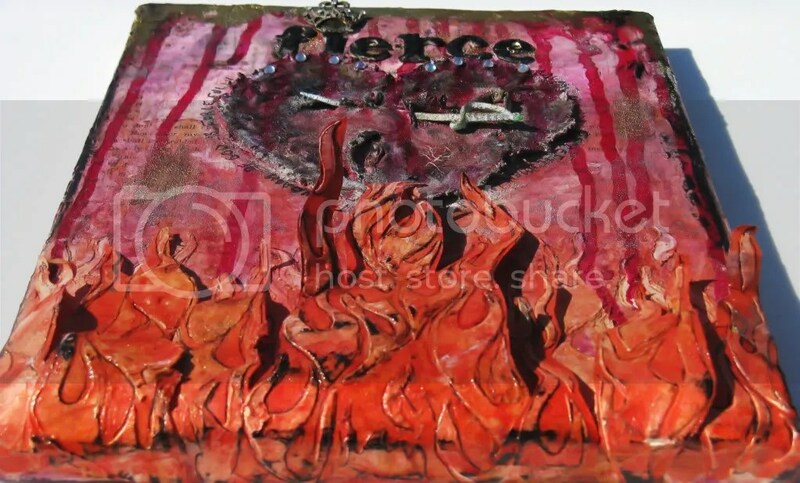 With that said, I designed the canvas around the flames. Once again, I used book pages from the ACME Kit and then lightly painted over it with gesso and some mists. Then, at the bottom of the page I whipped out the modeling paste and smeared it over the template and misted over it with orange and yellow mists. 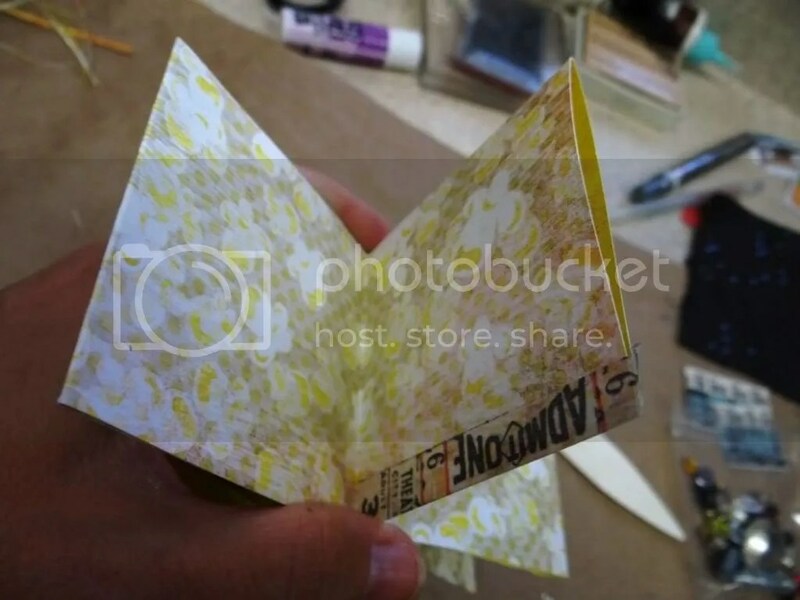 After deciding that I still wanted a little more dimension to the page I used the template and modeling paste technique again, only this time on cardstock. I then fussy cut around areas of the flames and then add it to the top of the existing flames. 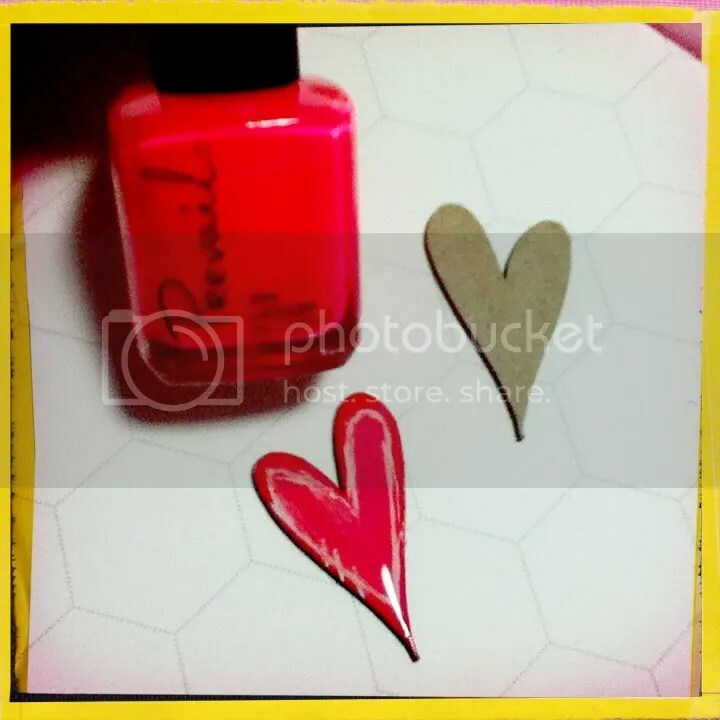 After that, I took a red fabric swatch from the Scarlet Fever Red Mixed Media Color Kit and cut out a heart. 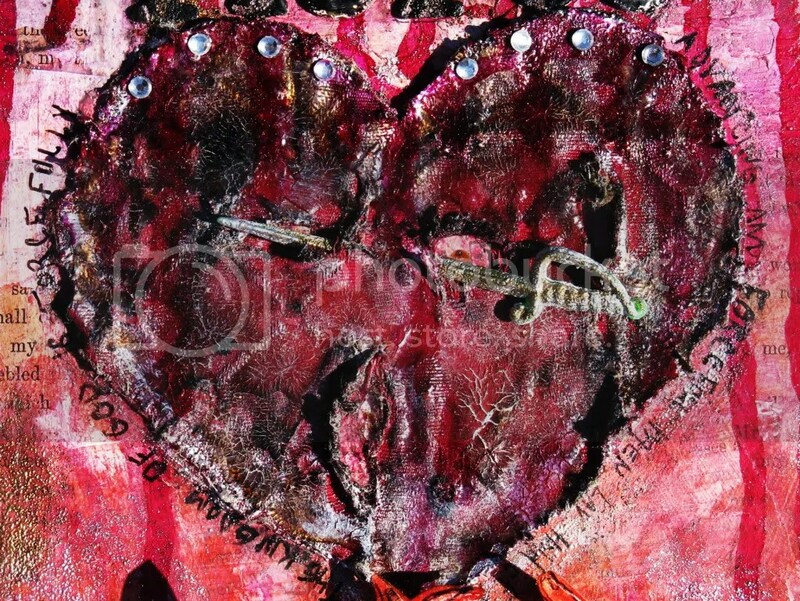 I took my scissors and made tears into the heart…and eventually applied it to cardstock and covered it with Mod Podge. I decided it wasn’t quite grungy enough for me so I experimented with it by adding crackle accents all over it. Once the crackle was dry I used white paint and distress ink to make the cracks stand out more.